This is a book about Iowa written by a Swedish woman. I am going to review it, even though I am not sure how this could be possible. 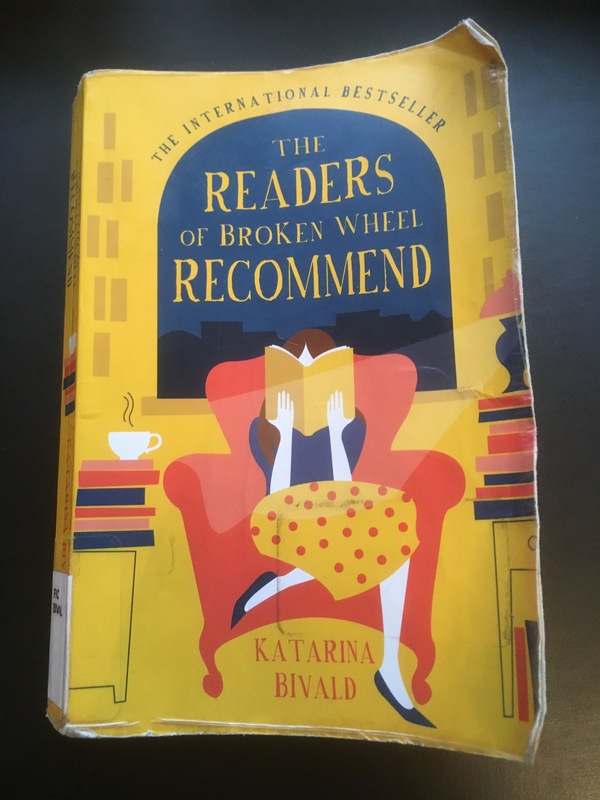 The edition I read was translated from Swedish and, since this was an international best seller, The Readers of Broken Wheel Recommend clearly had many happy readers. The main character, Sara Lindqvist, has lost her job at a bookstore in Sweden. With time on her hands, she decides to visit he penpal, Amy Harris, in Broken Wheel, Iowa. Amy invited her, but when Sara arrives, she finds out that Amy has died. The townspeople decide she can stay anyway. They decide she should live in Amy’s house for the two months she had decided to stay in America and Sara does. Amy has a houseful of books and, after a few weeks, Sara decides to open a bookshop in Broken Wheel with Amy’s books. Now, if you’re reading through this story line and thinking, “That’s it? ?”, as one might, well I hope this helps you to realize how good the writing must be. This is a good story, well-told, with humour and excellent characterization. I still can’t figure out how this Swedish author knows so much about the American Mid West.